Dianne Sommers graduated in 1983 as physical therapist at the Academy for Physical Therapy ’s-Hertogenbosch. Almost directly after finishing this study she started working in a hospital and in a private practice and began the acupuncture training at Pa Kua institute. She finished the basic acupuncture education in 1987 at the European University for Traditional Chinese Medicine in Antwerp. After a working / training period in that same year in Beijing she began assisting as teacher at the EUTCM in Eindhoven and Malle. In the next years she followed courses on diverse terrains in complementary medicine (orthopaedic medicine according to Cyriax, elektro acupuncture according to Voll, Chinese and western herbs, homeopathy en aromatherapy). In the field of acupuncture she did several training programs and seminars with a.o. Ted Kaptchuk, Dan Bensky, Kiiko Matsumoto, Ton van Gelder, Stephen Birch and Junko Ida. Of special interest for her therapeutic work were the developments in auricular therapy according to Nogier and the diverse forms of Japanese acupuncture. For the auriculo medicinae she developed diverse protocols and wrote several practical workshops and courses. The Japanese method is another favourite treatment in her practice, especially the very subtle and energetic acupuncture style named Toyohari. This method combines the elegant five-element diagnosis with powerful strategies and subtle needle techniques. She is active in several committees and boards in the professional field. Ten years she was secretary and treasurer for the Regional Society for Physical Therapy and five years Academic Dean of the Dutch Toyohari Association. 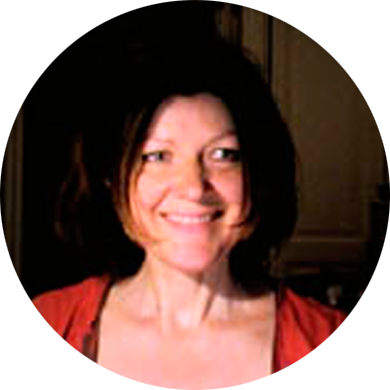 Since 1990 she is involved with the committee Scientific Research of the Dutch Acupuncture Association NVA and since 2001 a board member of the Stichting for the Study of Traditional East Asian Medicine. For more than twenty years she taught at several schools and institutes. She lectured at the European University for Traditional Chinese Medicine, the Institute for Energetic Medicine and the Yoga school Shiva. Currently she lectures at Qing-Bai, for Sanopharm and for the Stichting for STEAM in the Netherlands in basic acupuncture education and as well as post graduate training (pulse diagnosis, auricular therapy, Japanese acupuncture). She studied philosophy in Amsterdam and classical Chinese at the Sinological Institute of the University of Leiden. In 2007 she graduated with honours with a MA in Philosophy at the University of Amsterdam with a thesis on the translation and philosophical interpretation of the Neiye, a classical 4th century BC Chinese text. It is published in 2007 with the title ‘De Chinese Fascinatie voor de Geest – De Werking van het Innerlijk’, published by Libra & Libris Veghel.